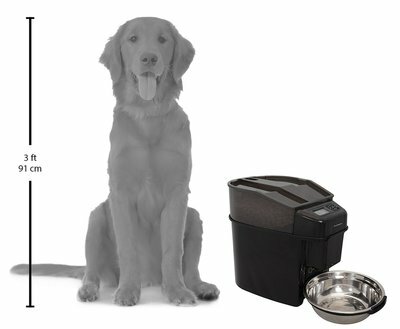 Number 1 - Petsafe Automatic Dog Feeder - Program Up to 12 Meals a Day! Over 1500 Reviews at time of this writing!! 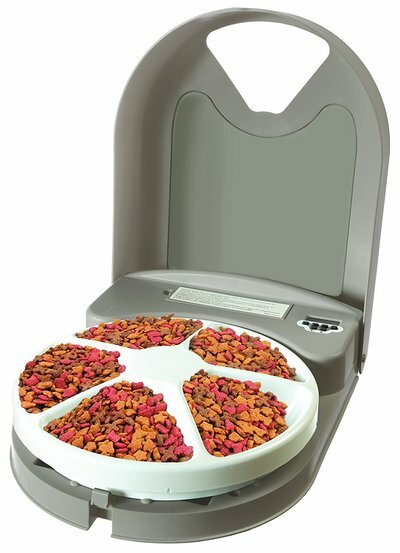 It can be programmed to create up to 12 mini meals per day, which is perfect for any pet that needs to be fed slowly over the day, making this a great option for a cat as well as a dog. It also has a really cool feature which they call "slow feed mode" which is perfect for those dogs that tend to gobble and suffer from bloat or worse, throw it back up all over your kitchen. In this mode the food for that particular meal is dispensed over a 15 minute period so that your pet will not wolf it all down and end up in gastric or "rear end" distress. It forces them to slow down their feeding. 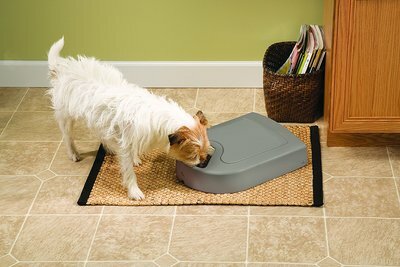 If you need to feed your dog or other pets on a schedule but you can't always be there, it can be difficult to get people over to your house to feed them, so at least by having this automatic feeder their feeding schedules do not have to change just because you can't be there right at feeding time or are stuck in rush hour traffic. This is the perfect way to watch Fido's weight as well. Over 3000 Reviews at Time of Writing! 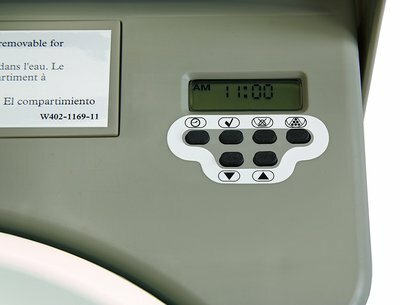 You can set the timer in one hour adjustments, and can feed your pet up to five times in one day. It is robust enough that your pets cannot break it open, and is sill a great way to control the amount of food they eat. It doesn't have the "slow mode" eating that the first model has, but if you don't have any trouble with feeding your dogs, then they will be presented with up to one cup of food per meal at the time you specify. 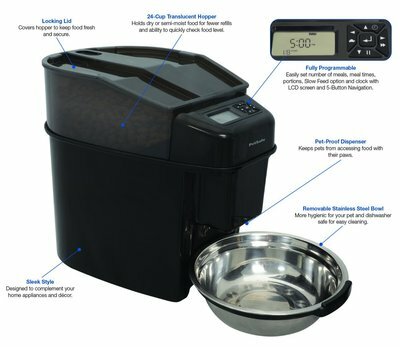 This would be perfect for the smaller dog or cat, if you have larger dogs, you could spread their feedings out using this timer, so they don't wolf it all down at once. It requires 4 D type batteries. This is perfect if you want to be kept in the loop about your pet at home while you are at work or out for the day. It is setup via your home Wi-Fi, with support for questions, and it will send you notifications of feedings and the feeder has a webcam so you can check on your pet while eating. It can hold wet or dry food or even medications that are doled out on a timer. 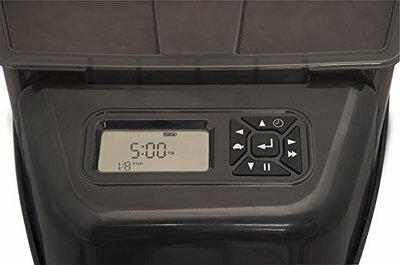 This model will cost you more than the typical auto pet feeder but if you love technology and want to have more control over the feeding times of your pet while you are not home, then this is an investment worth considering, especially if you have your phone with you all the time. There have been near perfect reviews for this product, and many suggest the support is awesome for this product. Might as well bring Fido into the new age of controllable technology.